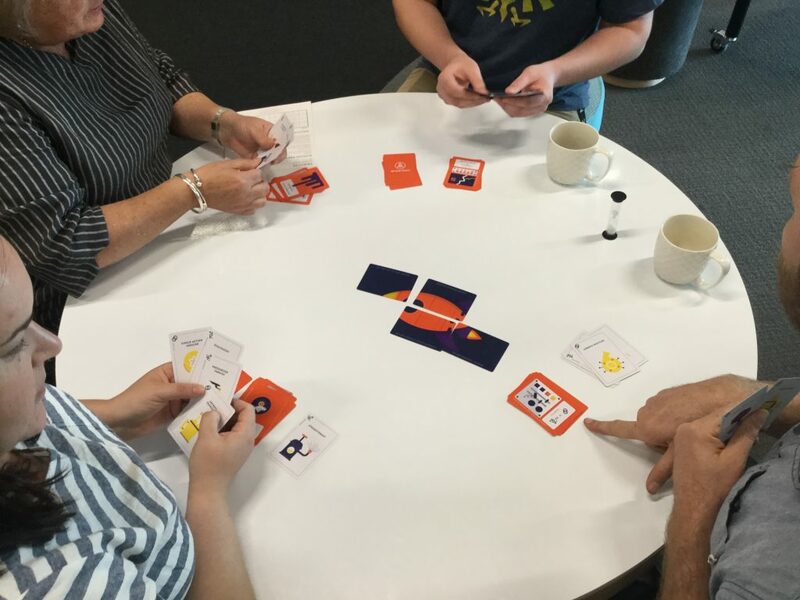 The theme for our first meetup for 2018 was “tabletop and card games in the classroom”. Our mission was to share (and play!) a whole range of different games, and talk about how we could play and hack these in the classroom. A few of us brought some games to show and tell, but the true hero of the event was experienced game-using teacher Chris, who brought two bags chock full of games that we were itching to grab and play. All the games we had in the room! We had a wonderful mix of enthusiatic meet-uppers. This included primary, intermediate and secondary teachers, some game designers, a researcher, someone who works in cyber securities, and a visitor from the San Francisco Bay Area who has worked a bit in educational policy and tech sector reporting. We also had one other crucial ingredient: coffee! (Thanks to Jessie and Hīnātore|Learning Lab at Te Papa for hosting us in such a wonderful space). After a brief introduction round we jumped right into play mode. 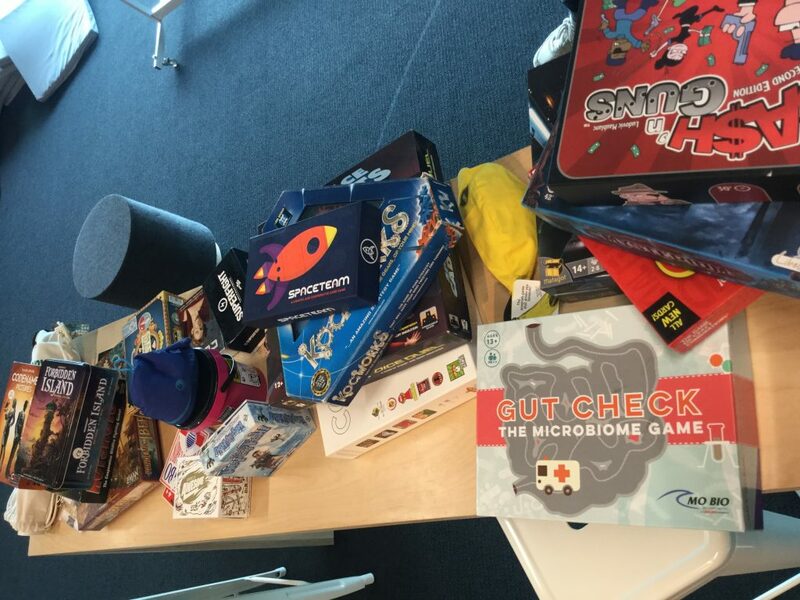 I showed a few people how to play Gut Check, the microbiome game. 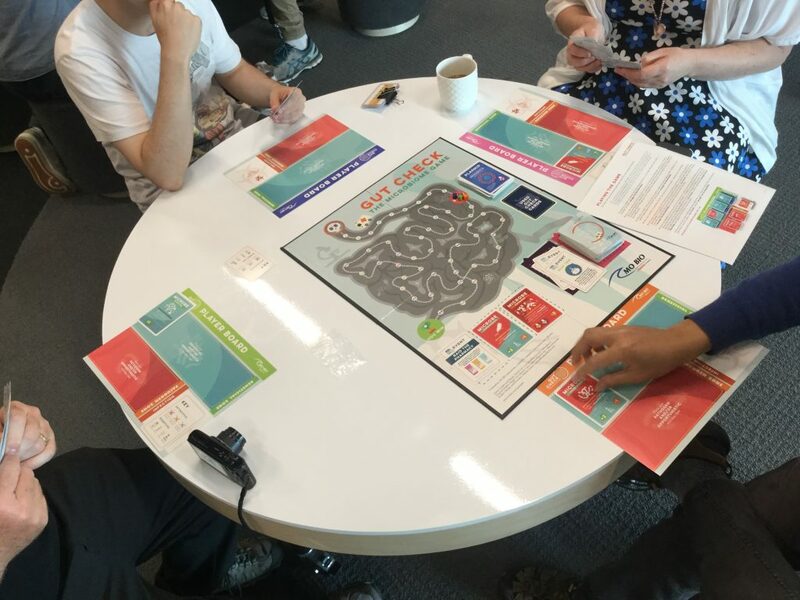 It’s a really fun card/board game where players try to build a healthy gut microbiome (to gain health) while trying to make other players sick by swapping pathogens or playing wisely or recklessly with antibiotics, etc. The game is a little complex (though not as complex as a real gut microbiome) but our players could quickly see relevant learning leaping out of the game, including understanding the problems of antibiotic resistance, and how some pathogens could turn from “beneficial” to “harmful” or vice versa depending on other conditions, infections, dietary factors, etc. They also had some great ideas about how you might “hack” or simplify the game to help beginners grasp some of the ideas they might need to explore first before tackling the whole game. 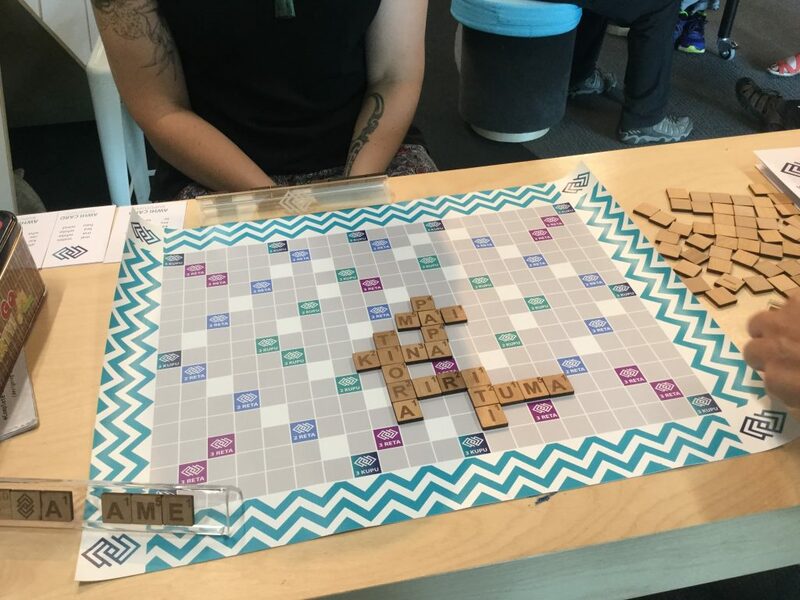 Meanwhile Diana-Grace had a precious copy of kuputupu, a prototype word game where players use word tiles to spell words in te reo Māori. 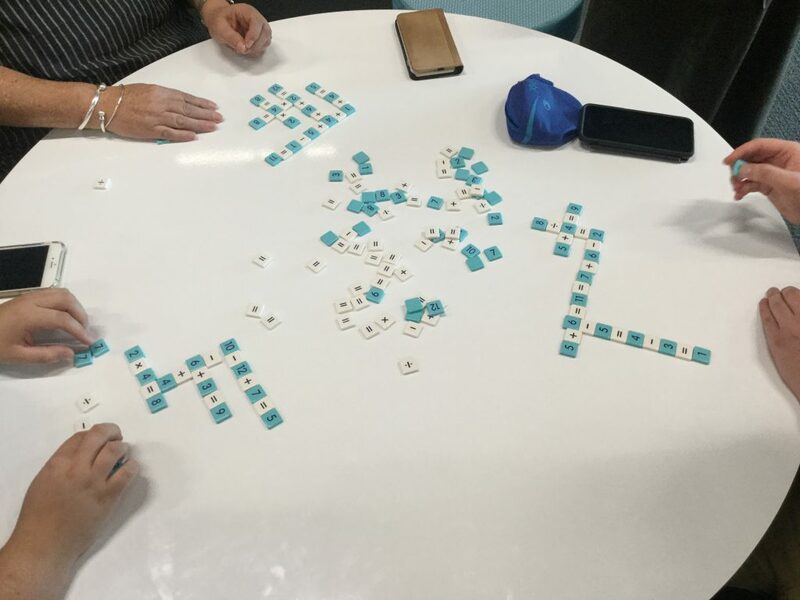 The game was devised locally at Taita Library and it was neat to see players consulting the Māori dictionary to discover new words as well as using kupu they already knew. At another table, players were diving into the tabletop version of Space Team. This was a revelation to some of us who only knew about the digital version of the game! Both versions are great for learning how to communicate under pressure and are also pretty hilarious. A dynamic moment playing Space Team! After playing these and other games in a fast and furious hour or so, we wrapped up with a discussion about what people were excited about or had learned through the games, and how they might use (or hack) them with students or people in any learning situation (including adults learning in the workplace). It was great to hear the range of ideas, and especially to hear from the game-using teachers who have already done a lot of gaming and game design in their own schools and classrooms. looking for youtube video tutorials – there are tonnes out there! finding the person in your group/class who LOVES reading the rules (or already knows them), and having them teach you or walk you through the game play. 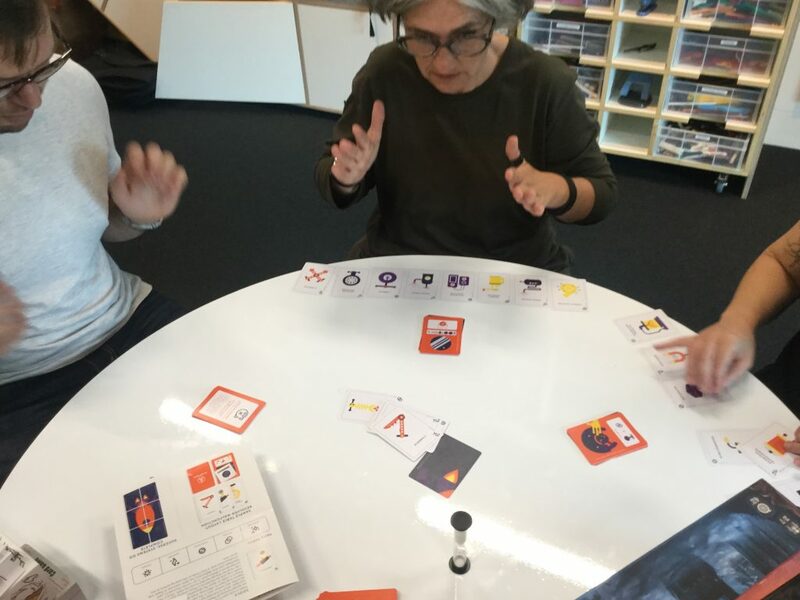 We also talked about how to support students to go from game players to game designers, and how tools like our Gameful Praxis Cards can be used to extend student’s critical thinking about games and game mechanics, and aid them in thinking about designing their own games. Before we knew it we’d reached midday and the end of our meetup. My big takeaway for the day was: we need more time to play more games! 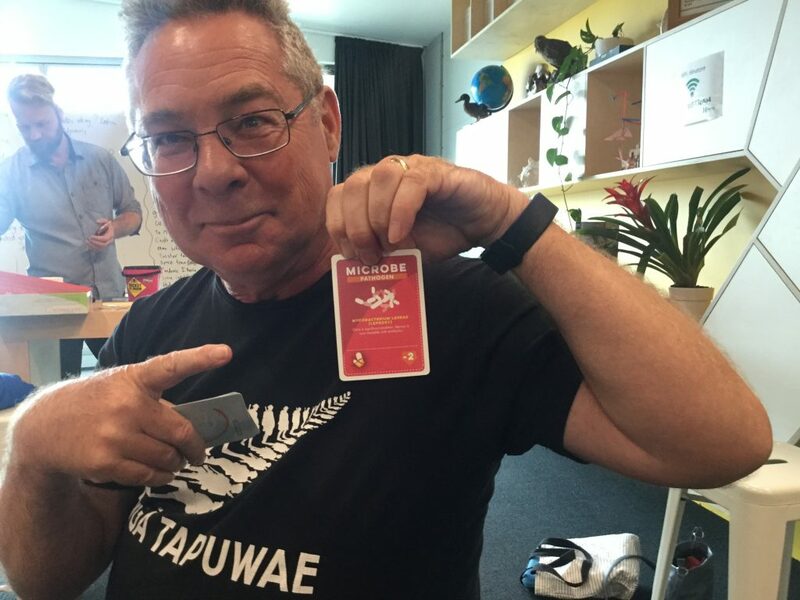 (A few people mentioned some of Wellington’s board game cafes and the wonderful Wellycon gaming weekend. Some of us were keen to try getting together again in cafes to play some of these games again, or to try ones we missed out on. 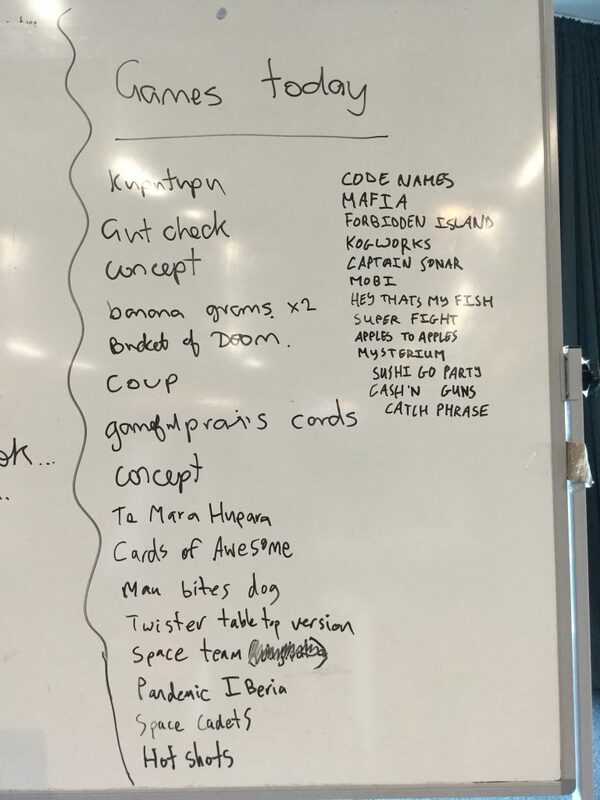 Dan and I did exactly that, catching lunch at a nearby cafe where we played my favourite game Concept, and brainstormed heaps of ideas for continuing to bring more games and game design into schools and classrooms all over Aotearoa. Did you miss out on this Meetup? Oh dear, how sad for you! Make sure to join the Gameful Praxis meetup group to be notified about our next events. We are planning to do at least one meetup per school term this year, and maybe more if there is interest! 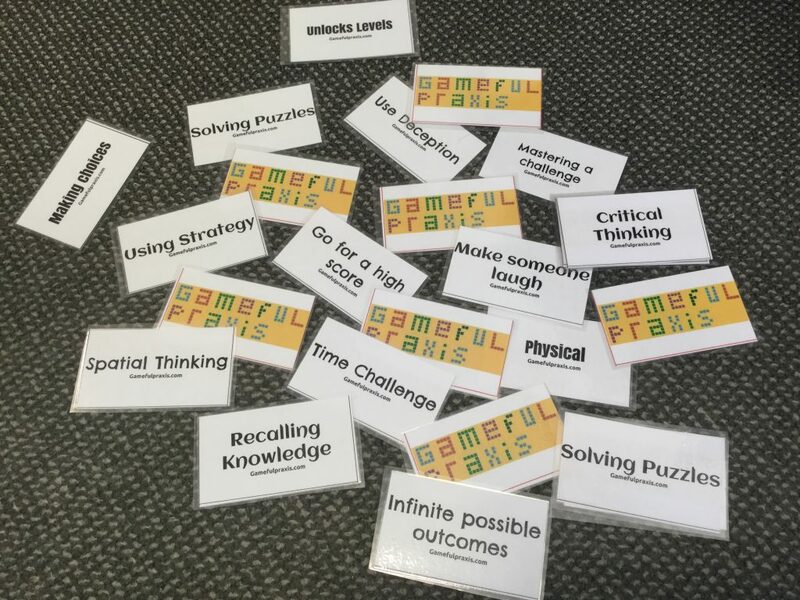 If you are keen to host or facilitate a session that fits into our Gameful Praxis “ethos”, please get in touch. We're all about learning to change the world through games (oh and making them too). 1. Playful, sportive; light-hearted; jesting, humorous. 2. Practice, as distinguished from theory; Thoughtful, committed action. I survived my first game jam weekend! Megan Clune on I survived my first game jam weekend! Rachel Bolstad on I survived my first game jam weekend! Anne-Louise Robertson on I survived my first game jam weekend!